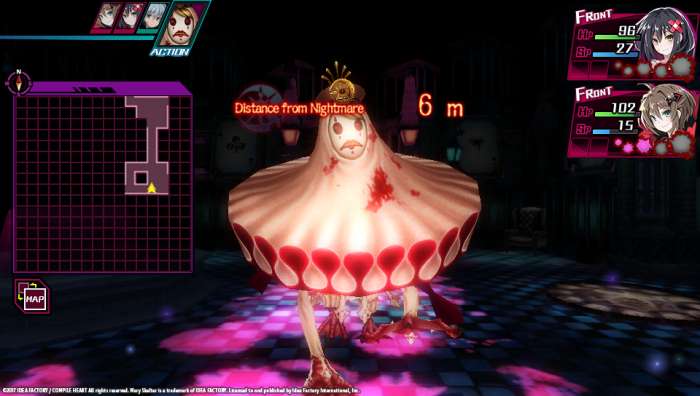 Newly released screenshots of Mary Skelter: Nightmares offer a look at the living Jail’s Nightmares and Giant Nightmares, the adversaries that bring a terrifying chase element to the game! Nightmares are the fearsome guardians of the Jail, a different type of enemy tiers above the Marchens. They patrol the Jail and give relentless real-time chase to Jack and his party. 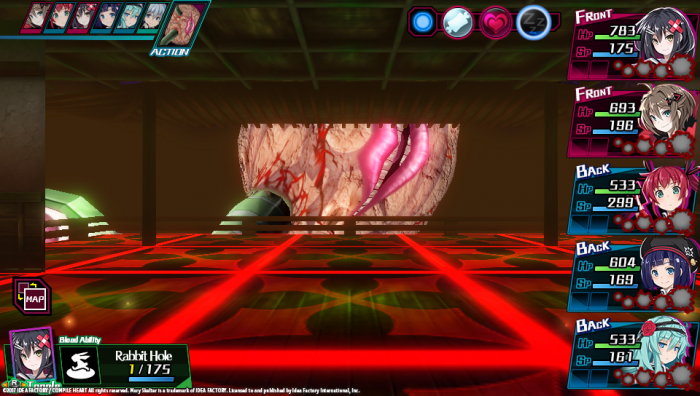 When a Nightmare is nearby, your surroundings darken, and only the blood splatter you leave in the dungeon illuminates the way. 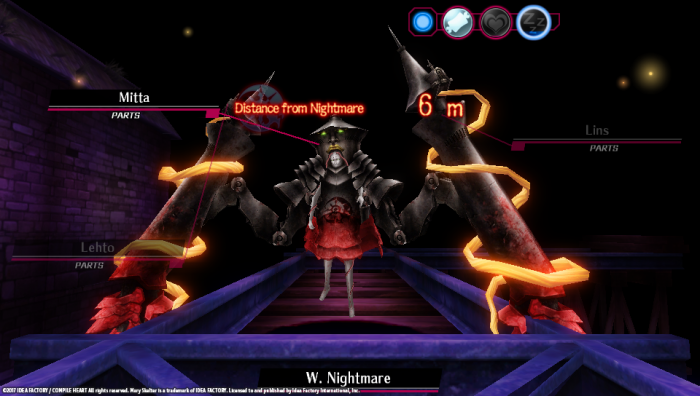 During this “Murder Hunt” mode, a gauge will appear on the screen that indicates your distance from the Nightmare. 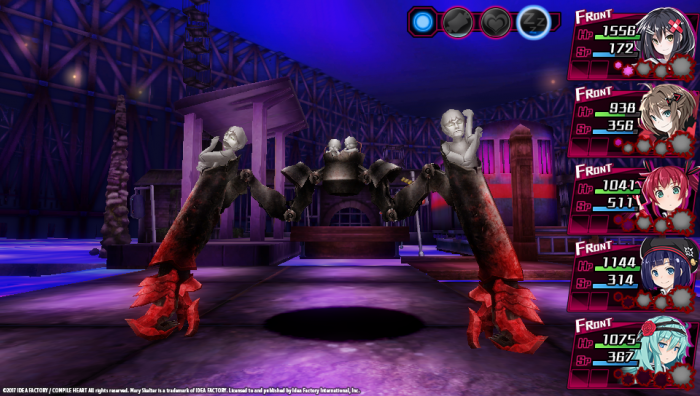 Your party cannot defeat the powerful Nightmares right away–until you can face them, you must run!